Amazon is hoping for record Prime Day sales and sign-ups to Prime memberships in Australia, even after its website crashed at the beginning of the event. The online retailer experienced 'technical glitches', as well as some disappointed Australian consumers, during the flash sale, sparking the twitter hashtag, #PrimeDayFail. Amazon extended Prime Day to 36 hours from 30 hours last year and added four countries, including Australia, in its drive to increase Amazon Prime membership. 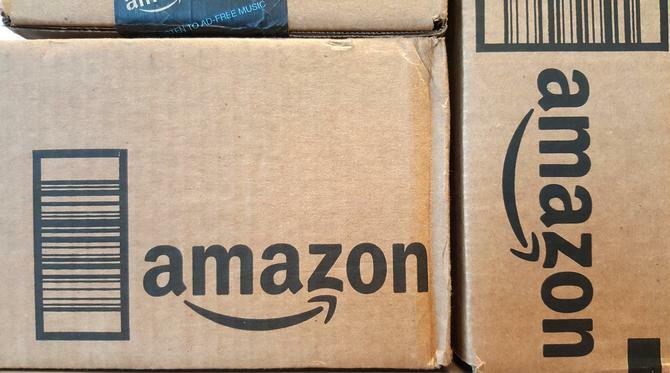 Despite the glitches, Amazon claimed the first 10 hours Prime Day grew even faster, year-over-year, than the first 10 hours last year, exceeding US$1 billion in sales globally. Best-selling items included the Fire TV Stick with Alexa Voice Remote, Instant Pot 6 Qt 7-in-1 Multi Use and Echo Dot. According to various reports, spending jumped 89 per cent in the first 12 hours of the event compared with the same period last year. Amazon’s Black Friday equivalent had been expected to achieve US$3.4 billion of spending, up more than 40 per cent from last year. And despite the tech issues, Amazon’s stock gained 1.2 per cent to $1843.93 as of close of trade on July 17. The impact on Australian retailers has yet to be reported. However, Amazon retail's arrival in Australia late last year proved underwhelming, with many consumers reporting the online retailer as worse than expected according to fresh research undertaken by Starcom. Local consumers were also disappointed when their US accounts were blocked as of 1 July, forcing them to use the Australian version. Since then, Starcom said Amazon.com.au has made up ground, with its improved pricing, product offerings and two-day distribution. “It is our belief Amazon’s free and fast delivery proposition is core and essential for long term Prime membership, but it is the little bursts of excitement, whether from access to amazing deals or favourite photos and music, that inspire people to take action and actually sign up,” Starcom director audience and measurement solutions, Nicole Conroy, said. “Based on our initial analysis and knowing that in the US more new customers joined Prime on Prime Day 2017 than on any single day in Amazon history12, we believe Amazon Prime Day will be a critical factor in boosting membership numbers in Australia." Mindshare’s research into ‘The Amazon effect’ in June found overall online shopping traffic has grown 9.1 per cent off the back of Amazon’s launch, with local consumers turning away from overseas ecommerce sites in favour of locally based options. Amazon also grew traffic by 24 per cent post-launch, or between February-April 2018 and February-April 2017, attracting an additional 1.3 million visitors per month. This compared to an 11 per cent decline in Web traffic the previous year. However, local retailers hurt by Amazon’s arrival are commonly operating in categories of traditional strength for the US giant, such as gaming, books and consumer electronics. In Australia, these brands included EB Games, Booktopia, Harvey Norman, Supercheap Auto, Cotton On Group, eBay and Priceline, which all experienced a dip in traffic year-on-year. Globant VP of technology, Nicolás Ávila, saw Amazon Prime Day as a symbol of how Amazon transformed a great customer experience into a loyalty program. Avionos president, Scott Webb, said Amazon has continued to evolve its positioning, adapting to changing consumer expectations and retail industry trends. “What started as basically a flash sale to drive site traffic has now grown into a multi-channel blitz of Amazon's private-label brands and in-store promotions, particularly with Whole Foods in the mix,” he said. “Prime Day has now infiltrated the brick-and-mortar market and even looks a bit like sales put on by traditional retailers, like Nordstrom's Anniversary Sale or Macy's Independence Day Sale - just more adapted to today's online shoppers. “This has been a growing change in Amazon's business model because today, it's not enough for retailers to compete only online. We're seeing Amazon continue to recognize this changing dynamic as it further blurs the line between online and offline commerce offerings. I think this is one of the first of many years that we'll see Amazon expanding its Prime Day offerings into the physical space." Episerver director of product strategy, personalisation, campaign and analytics, Jeff Cheal, said Amazon has set the standard customers have come to expect from a seamless and convenient shopping experience. “While Amazon has done well to cultivate strong brand loyalty, our experience and research shows that customers are quick to jump ship if an online shopping experience doesn't live up to these new standards, even with sites they are previously familiar with," he said.